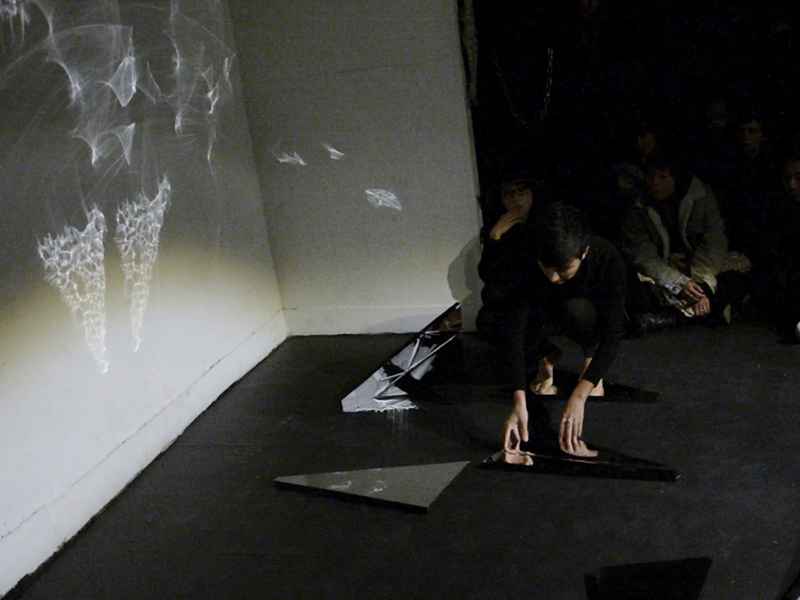 • Geometry of Exile is an embodiment of artist's journey as an immigrant experiencing exile. 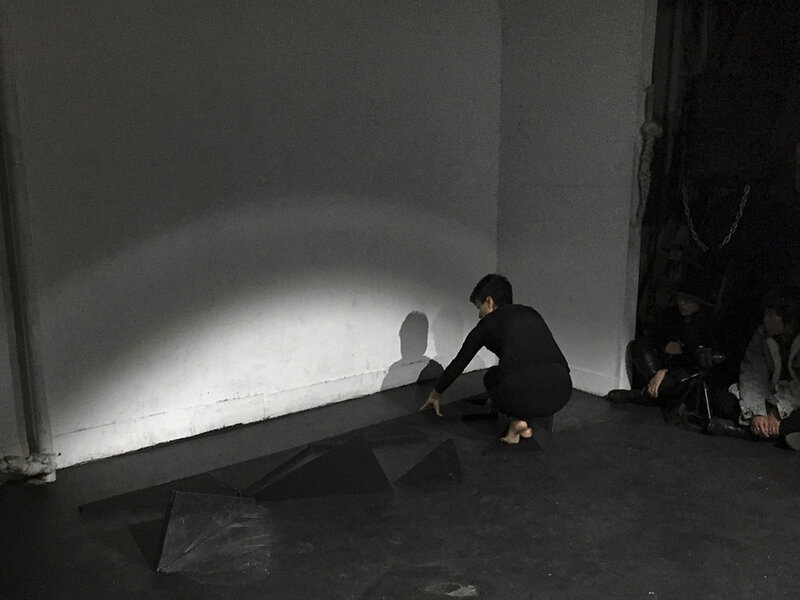 This performance activates ten plywood triangular sculptures into different arrangements of mountains transforming into waves and at times solid borders from one end of the room to the other. The pieces are only allowed to move by being rolled on their sides, sometimes standing up as they make their 180 degree rotations and can not overlap or stack on top of each other making their travel into a constantly changing puzzle of voids and shadows. 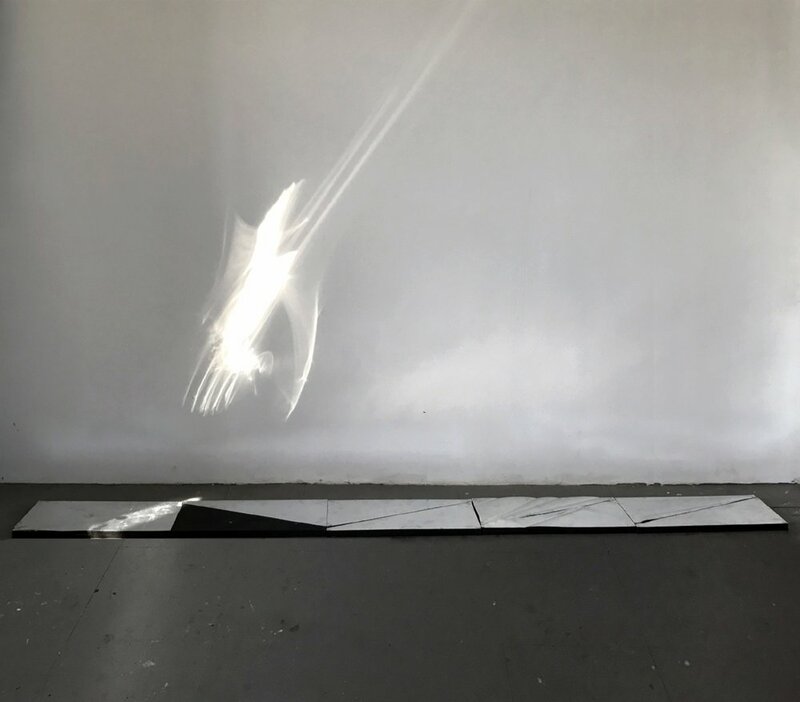 This ever-shifting landscape of negative spaces is made more elusive as each piece is composed of a reflective side and a black side exploring an unsettling and spontaneous journey through the room. 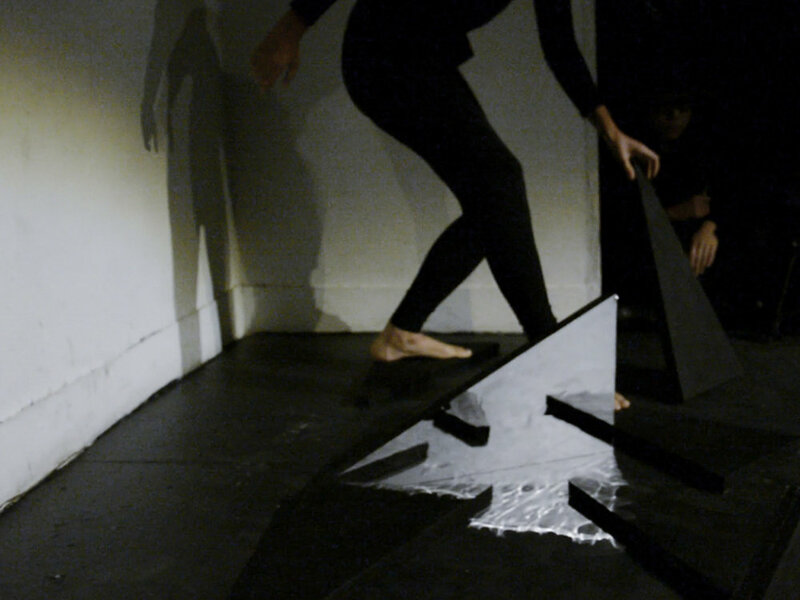 The movements in morphing fragment of this assemblage is constrained by being allowed to only walk and stand on the surface of the triangles as the artist and the triangles bring one another closer to the viewer.